Every January, Wine Enthusiast publishes a round-up of 10 destinations selected for wine-lovers—or oenophiles—complete with a comprehensive guide to the best local pours, wineries, and tasting rooms. From capital cities Bangkok and Lisbon to the remote reaches of Tasmania, Wine Enthusiast endeavors to get connoisseurs trekking around the world in search of comfortable classics and local grape varieties that yield exciting elixirs. Needless to say, these 10 locations leave wine-loving travelers wanting for nothing. Legendary for their output of regional wines, it’s no surprise that a historic French province, a Chilean valley, and the picturesque area surrounding Italy’s largest lake have all made Wine Enthusiast’s cut. 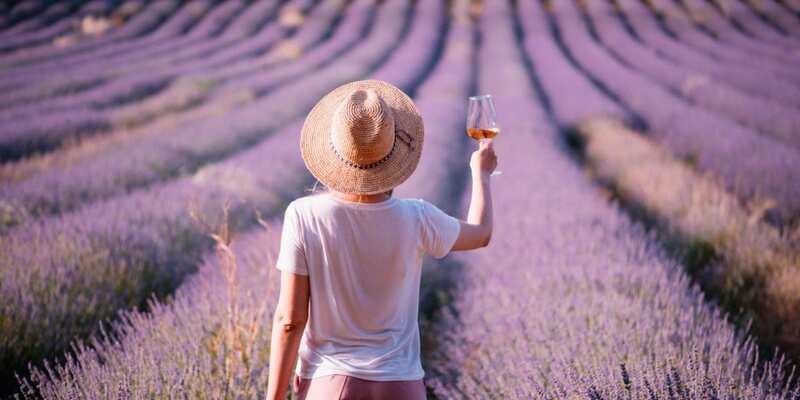 Indeed, Beaujolais, Maipo Valley, and Lake Garda comprise three of the 10 Best Wine Travel Destinations in 2019 as paramount points of production in each respective country. Then there’s Portugal’s coastal capital, which seems to be on everyone’s radar these days for the magical confluence of its alluring history, beguiling architecture, and tantalizing cuisine. Lined with medieval fortresses and technicolor tiles, this storied city has become one of the most popular—and still-affordable!—destinations in Europe; but Wine Enthusiast chose to feature Lisbon for the spectacular diversity of Portuguese grapes. 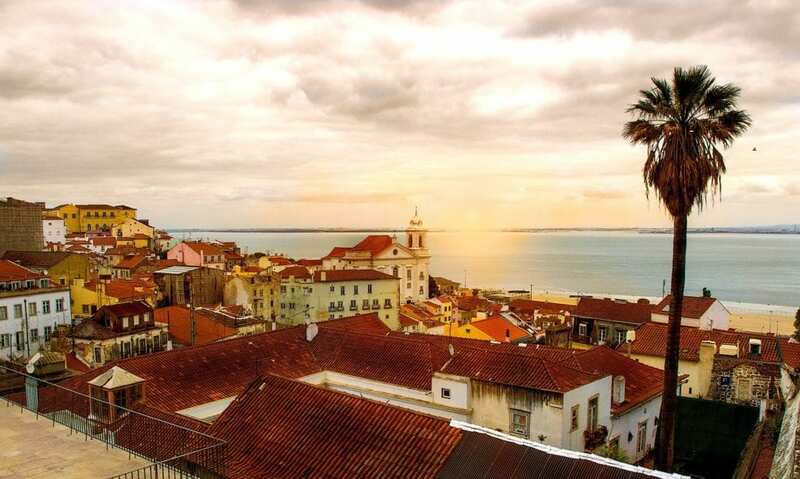 Situated along the Atlantic Ocean, Lisbon boasts a breadth of terrain, climate, and soil types yielding sparkling wines from the cooler, rainier region of Óbidos, to punchy reds from the comparatively arid Alenquer. Accounting for a staggering 89 percent of American wine production as of 2017 according to World Atlas, California’s presence on Wine Enthusiast’s list will likewise raise few eyebrows. But a visit to the Temecula Valley is put forth as an alternative to the busier Napa and Sonoma regions up north. Situated in Riverside County near Los Angeles, Temecula Valley is home to over 40 wineries. Warm-weather grapes that make up deep, dark reds like Tempranillo and Sangiovese thrive in the valley’s temperate climate. Vermentino, a light white grape commonly used in Italian wines, and Counoise, a slightly peppery grape found in red blends, are designated as two outstanding local components to look out for. Located in Washington State, California’s northern neighbor, Seattle, was selected for its prominence of locally-grown Cabernet Sauvignons, Rieslings, Merlots, Chardonnays, and Syrahs. Otherwise known as the “big five,” these are the principal grape varieties that comprise over 80 percent of local wine production. With some 100 vineyards that surround the city, Seattle’s 20-odd urban wineries and tasting rooms complement the Emerald City’s applauded culinary scene. Seattle masterfully strikes a nature/culture balance that makes the city a prime destination for travelers who seek the best of both worlds: museums, parks, markets, and nightlife with close proximity to spectacular natural landscapes for rugged types and meditators alike. For truly remote wine tasting, the small island of Tasmania off the southern Australian coast boasts vast nature reserves and stunning vineyards set to pristine natural backdrops. All that greenery is supplemented by capital city Hobart, home to museums and galleries, restaurants, and boutiques. 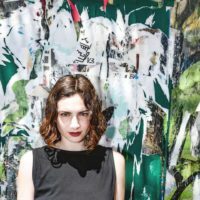 The Thai capital stands out as another unforeseen pick. 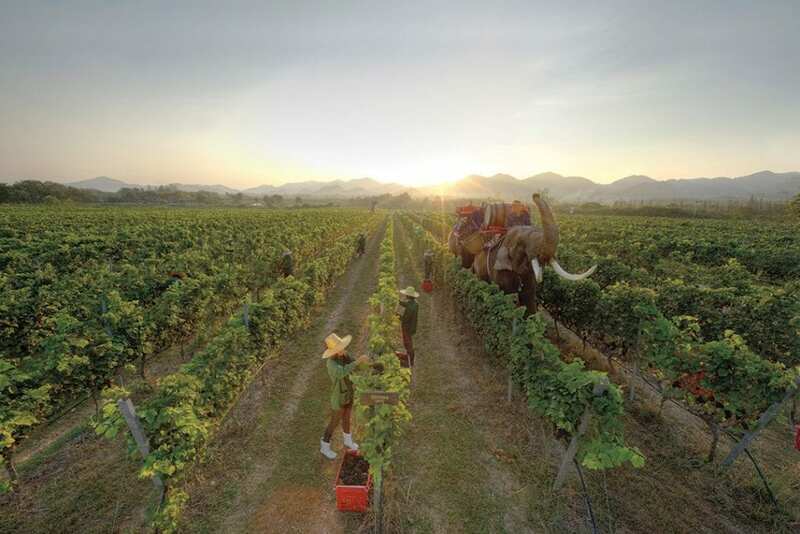 Best known for its buzzing markets and exquisite temples, Bangkok may not initially conjure imagery of verdant vineyards, but Wine Enthusiast applauds the award-winning Monsoon Valley Vineyard for its local output. 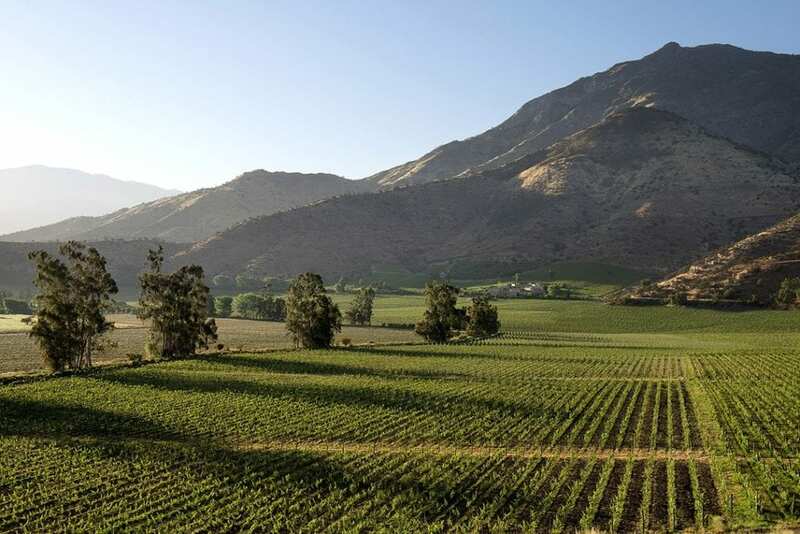 Founded in 2001 “to show the world that great wines can be crafted even at the 13th latitude of the northern hemisphere,” Monsoon Valley Vineyard cultivates grapes across untraditional terrain. The label’s first vineyard is sited within Khao Yai, a national park in central Thailand. 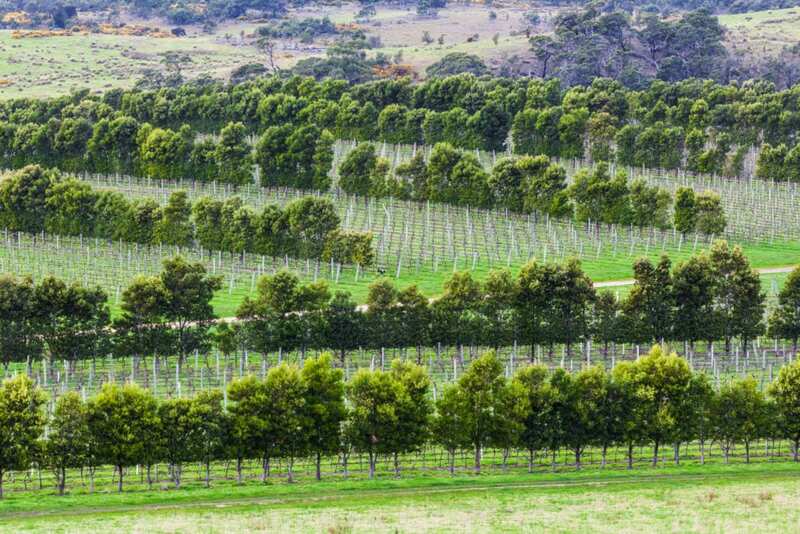 Flanked by jungle, forest, and grassland, the regional climate provides ideal conditions for the production of Shiraz. A second outpost in Baan Khork Chang valley would become the label’s flagship vineyard, where Chenin Blanc, Rondo, Merlot, and Muscat grapes are grown. Monsoon Valley Vineyard continues to establish new wine country across Thailand—as if you needed another reason to visit. Back to European soil, where ancient ruins and pristine beaches converge in the Greek city of Thessaloniki: a picturesque port on the Thermaic Gulf pinpointed for its prevalence of historic blends. Unsurprisingly, local food and wine are a collective keystone of the Thessaloniki experience, and oenophiles will rejoice at the quality of Greek pours. National blends Wine Enthusiast advises visitors to keep an eye out for include Malagousia, a historic, dry white Macedonian wine; Assyrtiko, a white wine grape indigenous to Santorini; Xinomavro, a dry red popular across Greece and Macedonia; Limnio, an ancient grape variety from the island of Lemnos that yields a dry red; and Mavroudi, a red with a hint of spice. Situated in Epanomi, a seaside village and former municipality of Thessaloniki, Ktima Gerovassiliou is listed as a mainstay for local wine production, as is Arvanitidis Estate in the village of Askos. 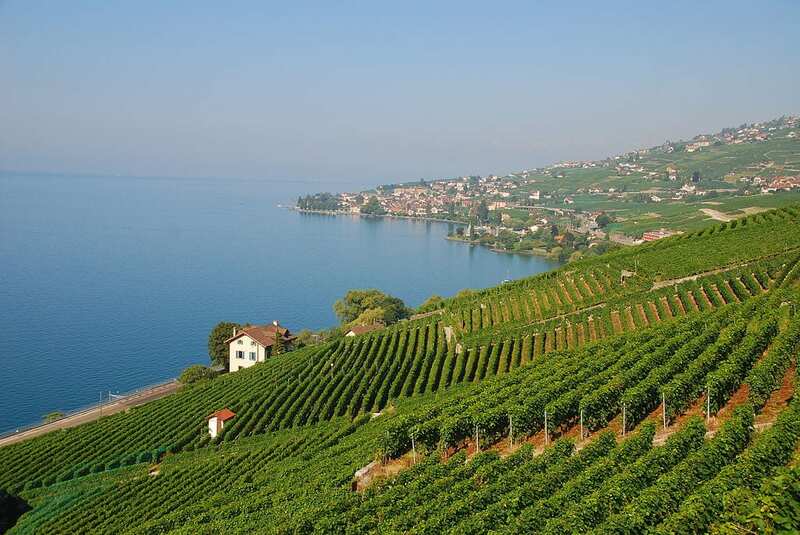 Finally, the Swiss wine region of Lavaux tops off Wine Enthusiast’s picks for 2019. 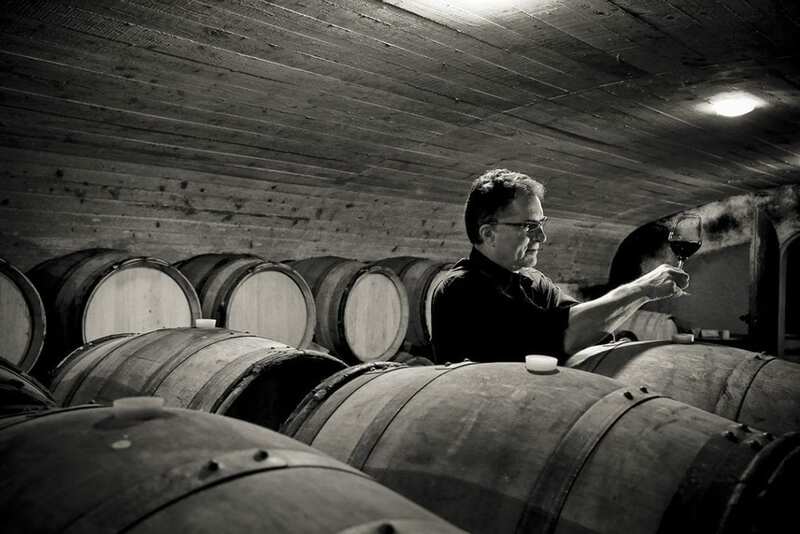 Despite shared borders with France and Italy, Switzerland isn’t known for its wine output; yet according to Wine Enthusiast, the area around Lake Geneva is home to several vineyards that specialize in the production of a dynamic white grape called Chasselas. The UNESCO World Heritage Site of Lavaux is a majestic point of interest along Lake Geneva with dramatic hills and majestic panoramas. There you have it: 10 new destinations for your boozy bucket list.